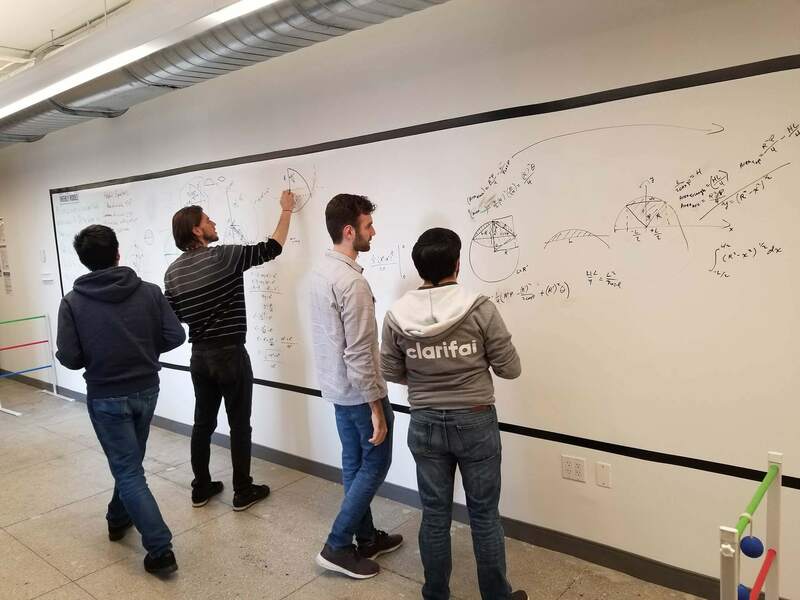 Clarifai employee hackathons have been a fundamental tradition since shortly after our company founding in 2013. Now several years running, one day of every month continues to be a company-wide special occasion dedicated to our very own hackathon: Clarifai Hack Day! This month we saw an especially impressive slate of projects. Read on for a few highlights! Hackathons are innovation competitions where teams form and work together to create a product or solution within a limited time frame, such as over a weekend. A hackathon is a “design sprint”-like event in which people collaborate intensively on technical projects or business challenges. The word hackathon is a portmanteau of the words hack and marathon, where hack is used in the sense of playful, exploratory building. At Clarifai, we have an internal Hack Day every month where everyone works on a pet project they don’t normally have time for. Hackathons are a part of our DNA – we love sponsoring external hackathons and seeing what students and customers come up with, so it’s only natural that we dedicate one day a month to building things together with other people. Hack days are important because they give people the opportunity to work consistently on their idea for eight hours without distraction. They also turn 20% time into a fun and competitive event – we order catered food on hack days, crank up the music, and share all our projects at the end of the day. And it’s not just an internal hackathon – investors, intern alumni, and other guests come hack with us all the time. This May, we are inviting Clarifai parents to bring their kids in to participate in Hack Day too! After so many years of monthly hackathons, there have now been hundreds of Clarifai hack projects. A few of these hacks eventually become full-fledged Clarifai products or inform a key decision-making process. But most hacks don't go according to plan in one way or another. At the conclusion of Hack Day, we value the stories of learning and persistence just as much as the shiny product demos. Everyone throughout the organization is invited to participate, and the best projects often result from cross-team collaborations. Predicting music genre and language of songs using Clarifai models! Eran: One of the things we love at Clarifai so much is how it is leading the market with its computer vision capabilities. For our Hack Day project, we were interested to see how well our pipeline can tackle data from other domains, projected into images. We chose sound as our base domain and used spectrograms as the projection tool between the domains. We tackled the sequencing problem (different length sequences produce different-sized spectrograms) and adjusted the learning parameters to fit a time-series input and were given promising results with simple genre and language classification problems. Eran: Hack Day is one of the best things about Clarifai, which is unlike anywhere I’ve worked before, because we get this rare opportunity to make something of our own, untied to the daily agenda, once a month. The freedom inspires ingenuity within us, and sometimes even ends up as a feature in a customer’s hands, on top of being extremely fun! Harmit: This project is about using a detection model to help train another pixel-trained detection model. The purpose of the project was to use an existing detection model to detect regions in a set of images, have the detected regions displayed, and let you tag them. You would tag them by pressing a key on your keyboard that you mapped to a particular tag and once tagged, you will be shown the next region. Harmit: I built it in python using matplotlib.pyplot to display the images and our internal endpoints through GRPC calls. During the hackathon I had to learn how to use our internal gRPC endpoints in our repo. Harmit: Now that it is started I may work more on this project to make it also iterate through URLs, not just a directory of images. It will help me and others out with the work that requires tagging images for testing. It would make it faster than doing it manually. Jared: This project is an internal skill searcher that can be used to discover the skills and tools that people know in our company. I later added a feature that designates who would be willing to mentor in that particular skill. I made it because I've gotten a decent amount of internal requests asking "who knows how to do X" and I figured it'd be awesome if we had a database that people could easily use to search. Tricia Marshall, Clarifai’s Head of People, approached me about the mentor designation feature and that made the tool even more useful. I learned a TON of things about various people here since I had to scrape their LinkedIn profiles and also the initial new hire survey that they filled out. We have people here that know woodworking, beatboxing, Hungarian, and everything in between! It's quite interesting. I hope that people continue to use this tool and get a lot of benefit out of it! 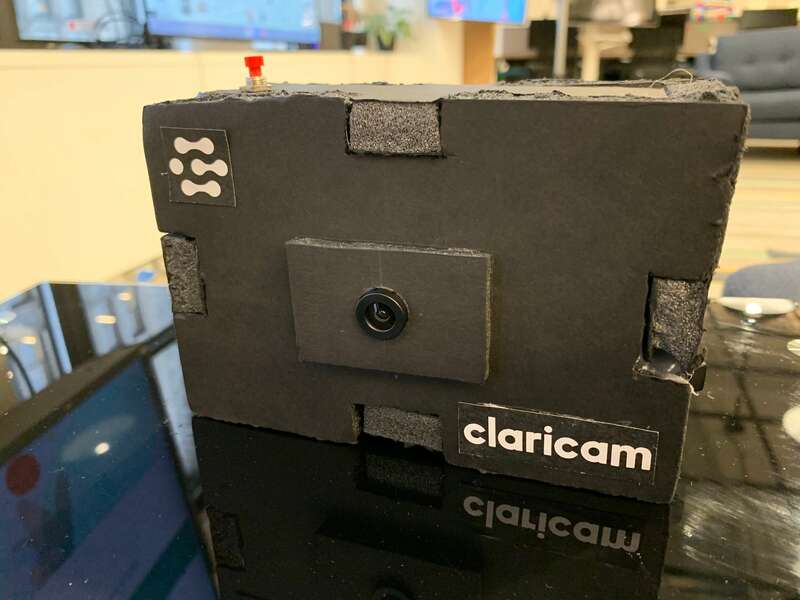 Next week we'll feature a deep dive on an impressive cross-team effort that stunned the crowd at Clarifai's March Hack Day demos: the ClariCam! Ready to do some hacking of your own? Build & deploy your own Clarifai app and visual models with our developer guide for free! Want to work at Clarifai? Get a free Clarifai account, tell us what you think of our latest product, and apply to one of our open positions!